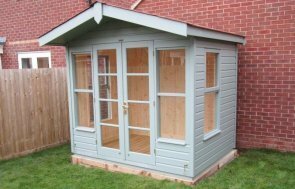 This Cley Summerhouse was recently installed for a customer based in Norwich, Norfolk, who wanted it for use as a garden office. This is just one of our wider range of Summerhouses, all of which include delivery and installation as part of our exceptional service. The exterior was clad in our standard planed shiplap tongue and groove cladding, which was coated in Sage green paint and completed with cedar shingle roofing tiles which offer up to 35 years life expectancy. This combination of finishes means that ongoing maintenance and redecoration is kept to a minimum, as well as promoting longevity. 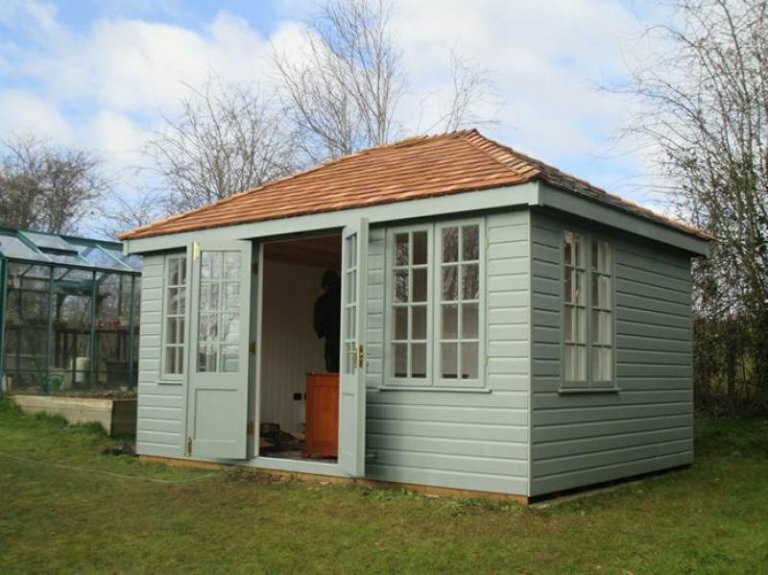 Additionally, our summerhouse - like all our garden buildings - can be used all year round with the installation of heating and/or an electrical pack. 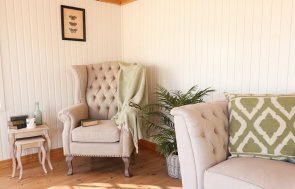 Our summerhouses are perfect for use as a cosy reading room, a space for entertaining guests, or just a place to relax and escape from the pace of daily life. We have more than 25 different size and style buildings on display at our Show Centre in Norfolk, so why not plan a visit there soon to discover our high-quality buildings for yourself, and to speak to a friendly expert who can make recommendations for your own building. Like the look of this Cley Summerhouse? Explore the full range of summerhouses by clicking the link below.